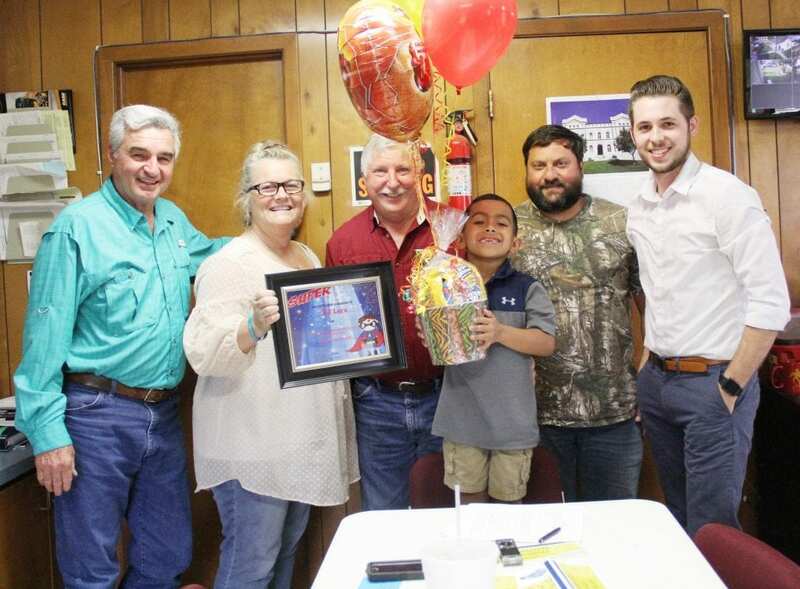 A six-year-old boy from Charlotte is all people are talking about these days as he’s been awarded and recognized by many organizations including the Atascosa County Sheriff’s Office. RJ Lara didn’t know he would become Charlotte’s very own superhero when he saved his mother and soon-to-be little sister on Monday, March 26. Sabrina Jimenez, 26, had just picked up RJ and his little brother, Domnik, from school. Jimenez has Type 1 diabetes and was about 7 months pregnant at the time. During her pregnancy, her sugar levels had been known to drop to a dangerously low level when least expected. Little RJ remained calmed and collected as he called 911 giving his name, address, what the emergency was and answered questions over the phone until the first officer arrived on scene. 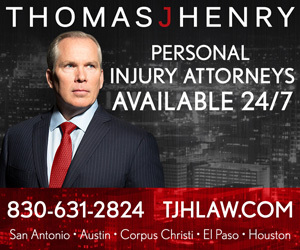 Jimenez says they have never told RJ their home address or how to call 911 when her levels dropped and J.R. wasn’t home. Jimenez was taken to the hospital that night and when all was okay, including her unborn little girl, she left for home. Two weeks later, little RJ would still be the talk of the town. 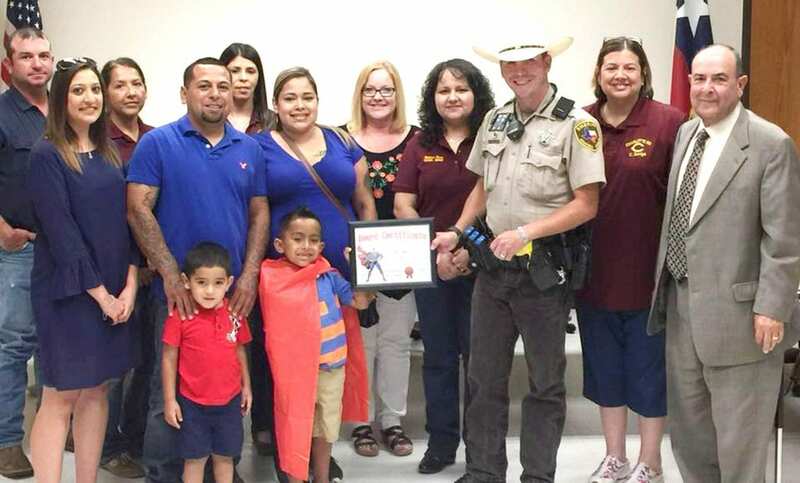 At Charlotte ISD’s School Board Meeting on April 11, RJ was recognized by the school board members, Superintendent Mario Sotelo, Elementary Principal Laura Mikolajczyk, his 1st Grade teacher Stephany Calvillo and Atascosa County Sheriff Daniel Kaufman for his heroic actions. He was given a superhero cape with his name on it made by Principal Mikolajczyk and CES Secretary Evette Gaitan, and described by Mikolajczyk as being very intuitive. Sheriff Kaufman was the first officer on scene and presented him with a certificate at the CISD school board meeting. The following day, he was recognized and awarded by Charlotte Mayor Buddy Daughtry and the city council with a certificate and basket full of goodies and balloons. As for mom and baby girl, they are both doing well. Jimenez and Lara’s little girl, Julianna, was born two weeks ago. Jimenez’s levels dropped low again and she began to develop preeclampsia, causing her to deliver her little girl two months early to prevent any future health risks to either one of them. Julianna is still in the hospital and is doing well, all things considered, thanks to big brother RJ coming to the rescue on March 26.
RJ is the true definition of the saying “not all heroes wear capes” and has truly became “A Hero of Our Own” for his parents, siblings and the town of Charlotte.